All Posts Tagged With: "Bath"
Scrambling to make this year’s Festival of Lights more memorable than the last? 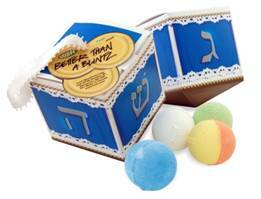 Top off 8 days of presents with the unique dreidel-shaped Better Than a Blintz Gift from LUSH! With four of LUSH’s best selling bath bombs, it’s the perfect gift to help a loved one unwind and relax this holiday season. At only $19.95 and pre-wrapped with reusable post-consumer recycled packaging, feel good about the affordable and eco-friendly gift you are giving. Choose from a lemongrass infused Avobath, grapefruit and mandarin packed Happy Pill, apple-scented So White or a peppermint-infused Magic. Take a long relaxing bath with one of these bath bombs and see why this gift is really better than a blintz (or Potato Pancake!). 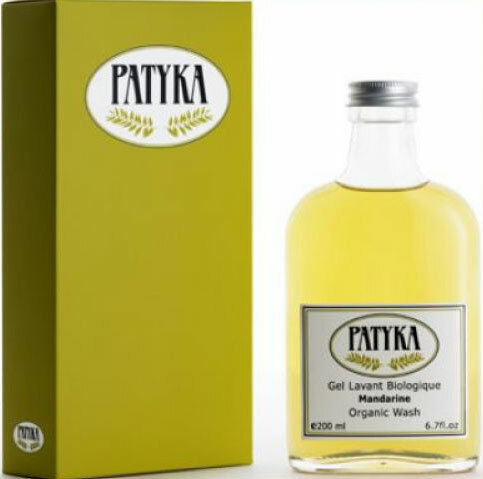 Visit www.patyka.com for additional product details.